Livewire Deluxe DMX Terminator. The DMX serial data protocol for lighting control specifies a DMX terminator plug end of daisy-chain cable runs. 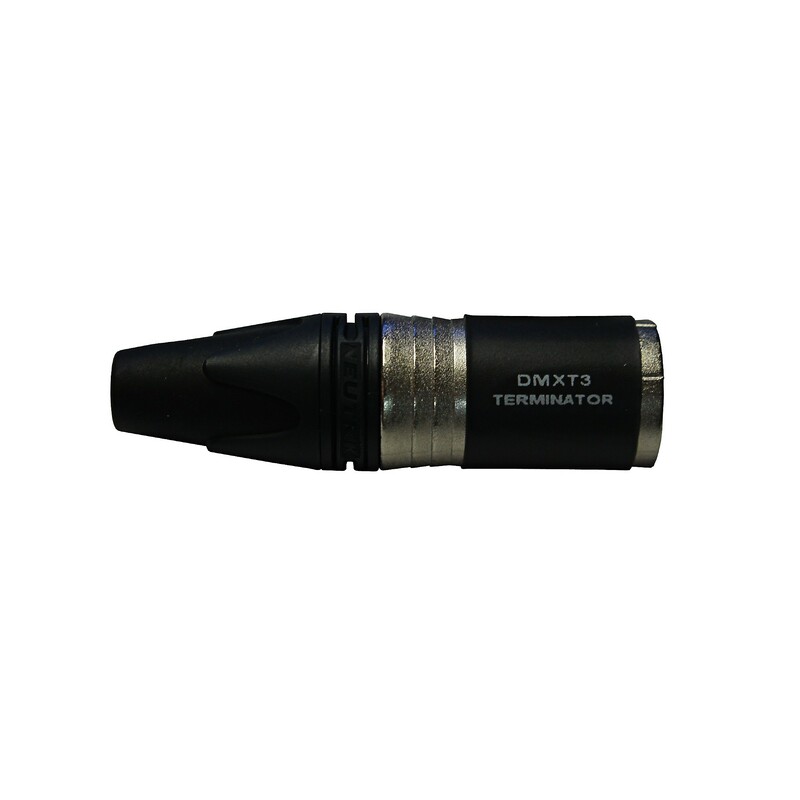 This terminator plug informs the controller of the last lighting fixture in the chain, and ensures fast, reliable DMX performance without dropping data. Guaranteed for life.